Natural history is a major part of bushcraft. Understanding and becoming familiar with the wildlife around you is paramount. 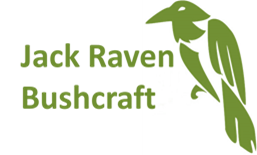 With that in mind we are very fortunate to base our bushcraft courses out of a private ancient woodland located in an area of outstanding natural beauty. We consider ourselves to be extremely fortunate to have a large variety of wildlife that we share the woodland with. The above gallery shows photos of some of them. It’s probably worth checking back here from time to time as we update the gallery as and wen we take new photos. Badger, Fox, Squirrel, Rabbit, Hare, Wood Mouse, Bank Vole, Stoat, Rat. Whilst not permanent residents, Fallow Deer often wander through the woodland. You can see plenty of photos of the people who come on our courses here, or on our Facebook page.